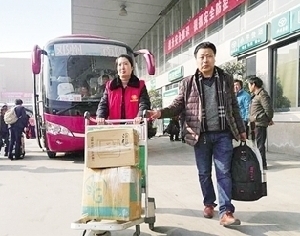 On Jan 21, the first day of the 40-day Spring Festival travel rush, Nanyang Railway Station received nearly 8,000 passengers. 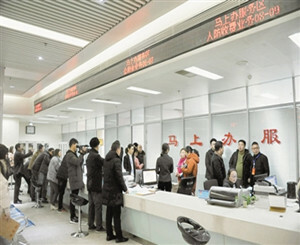 A total of 20 Nanyang residents were invited to the city's government review and approval administrative center to personally experience how government services are improved by the "At Most One Visit" policy and online technology. Matsubara Takehiro, head of Japanese chemical and pharmaceutical producer CBC Group, together with Peng Zhiyuan, president of Beijing Paicheng International Education Technology Company, paid a visit to Nanyang on Jan 15. 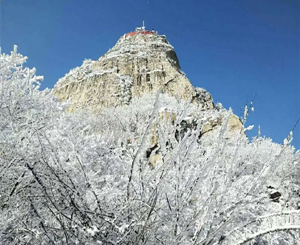 Wuduo Moutain in Nanzhao county, Nanyang has recently become a popular tourist destination due to its lovely winter landscape. 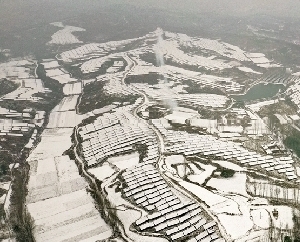 On Jan 9, the first snow of 2019 offered splendid winter views in the city of Nanyang. The Hani rice terraces in Yuanyang county, Yunnan are a popular World Heritage Site, and Xichuan county, Nanyang is currently building its own "Hani terraces". 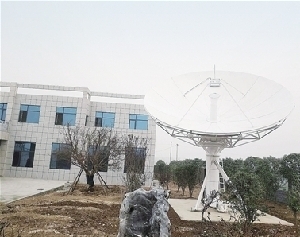 The city of Nanyang has recently introduced a new provincial-level satellite receiving station, the only ground reception center in Henan province for the Fengyun-4 Weather Satellite. A delegation from the University of Salamanca in Spain paid a visit to Nanyang Normal University on Jan 7.